Our tour starts off along the Parks Highway, not named for the beautiful national parks along its route, but rather for George Parks, Alaska's governor. the riding starts in the thick forests of bright green poplars, then rolls north into the heart of the magnificent Alaska Mountain Range home to America's tallest peak, Denali. We will visit several microbreweries along the way, discovering how its done up here and also taste plenty of award winning brews. And you have a full day free to explore Denali national park as you see fit, some rafting or hiking perhaps. or just a leisurely guided tour deep into the heart of the park. 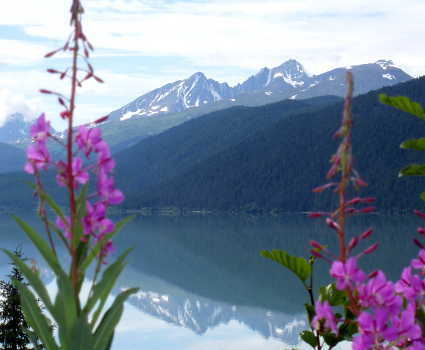 Our second leg highlights the dramatic landscapes that make Alaska one of the most photographed states in the USA. We start on the Denali Highway, consistently voted in the Top 5 Most Scenic Highways worldwide, then round out our scenic cycling on the historic Richardson and mountain lined Glenn Highways. Along the way we will be sampling beers from more remote parts of Alaska, tasting the specialties of breweries in the inside passage and Kenai Peninsulas. 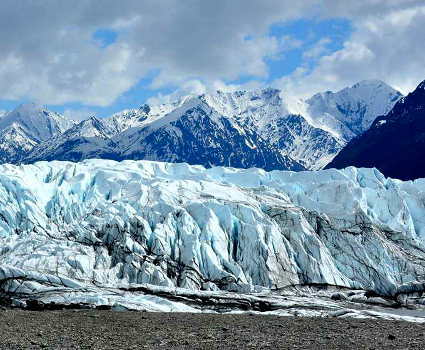 We'll give our bikes a break and go glacier hiking one day, exploring the Matanuska Glacier away from the crowds. then wrap up our adventure with a great dinner and last tasting at one of Anchorage's great brewpubs. 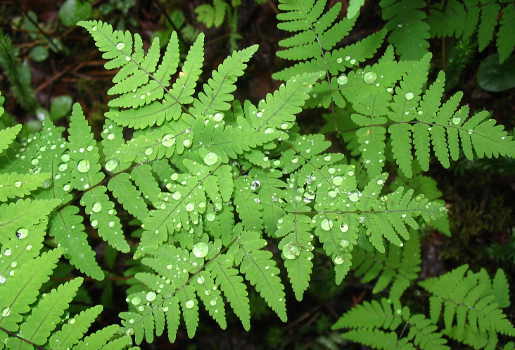 Its an adventure unlike any other and a chance to discover some other aspects of Alaska. We are off and riding. Today's route takes us north first along some nicely paved bike paths from Wasilla to the charming village of Willow. We will continue through thick forests of aspen and poplar trees, a lush blanket of green leading our Alaskan bike tour to the eclectic town of Talkeetna, our home for tonight. This historic rail town is thought to be the inspiration for the town of Cicely in the TV series, Northern Exposure and is home to Denali Brewing. The dramatic landscapes of the Alaska range lure us further north today, as we pedal to Denali State Park. Along the way, you will pass through diminutive Trappers Creek, home to the infamous Wal*Mikes with its vast collection of "stuff". Definitely a one of a kind. Our lodge tonight is simple and comfortable, built as a homestead before roads went to Denali National Park, with dramatic views of Denali. Before dinner we will sample brews from Baranof Island Brewery located in Sitka, far away in Alaska's Inside Passage. Denali National Park here we come. The last ride along the Parks Highway, takes us "up and over" Broad Pass into the heart of the Alaska Mountain Range. But don't let the name fool you, it is a gentle climb, as we follow the rail line and locomotives can't handle anything steeper than 2%. We will end our ride in Cantwell, then shuttle into Denali Village, where we stay for the next two nights. We'll head out the 49th State Brewing for dinner and a tasting. Today is a free day to do as you please. There are informative tours deep into the heart of Denali National Park, shuttle buses that can take you and your bike into the park for a ride back out, white water rafting and just plain relaxing and strolling around town. No organized tastings tonight, but our hotel's bar has a great selection to wet your whistle. Back on the bikes, to head back down to Cantwell, biking through the section we shuttled before. 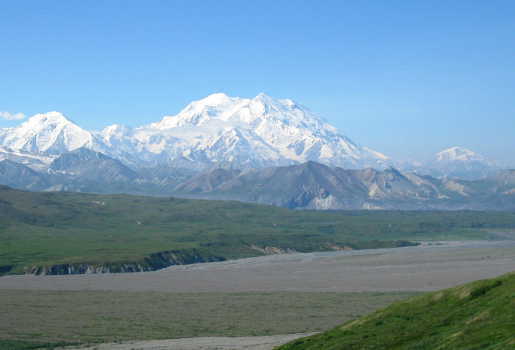 In Cantwell, we pick up the Denali Highway, traversing across the southern foothills of the Alaska Range. This highway has be voted in the top 5 most scenic highways by many different groups and it does live up to those accolades. But alas it does turn to dirt, so we will shuttle the last stretch to our lodge. beers from Silver Gulch Brewing in Fairbanks highlight tonight's tasting. The day starts with a few miles on dirt, then its back on pavement for the rest of the Denali Highway to the junction of Paxson, where we meet the Richardson Highway, the first road built in Alaska. The ride is a cruise, as we are going mostly downhill throughout the day, to your right vast tundra dotted with lakes, to your left, the impressive volcanic peaks of the Wrangells start peeking over the tree tops. Alaska oldest operating roadhouse is home tonight, the Gakona Lodge built in 1929. We will be sampling brews from Alaska's oldest brewery as well, Alaskan Brewing Co, tasting some of their specialty and seasonal brews. Leaving Gakona, we roll through Glenallen, a dry community at the junction of the Richardson and Glenn Highways, but fear not, as you leave town there is a combination stationary and beer store just outside the city limits. Today's ride highlights the vast tundra of Alaska, flat lands dotted with numerous lakes. We stop tonight on the shores of Louise Lake, encircled by distant mountain ranges forming a delightful 360 degree landscape masterpiece. Sample brews from the Kenai Peninsula on the porch overlooking the lake. Our last day of riding, takes us further along the Glenn Highway. We work our way over Eureka Summit, but again in true Alaska style it is a long gradual uphill, not an alpine type climb. But with the Chugach Mountain Range to the south and the Alaska and Talkeetna Ranges to the north, the grandeur will keep your mind off the thighs. From the summit, it is a rolling downhill to our tours finish at Sheep Mountain. We'll try some more brews from the Kenai Peninsula tonight, relaxing outside our cabins with the Chugach Mountains and Matanuska Glacier at our door step. After breakfast, we will switch gears bit with a stop at Matanuska Glacier. Accompanied and equipped by experienced glacier guides, we will explore the glacier up close and personal, walking across its vast blue ice fields. In the afternoon, we will drive back to Anchorage, where we celebrate the end of a great Alaskan adventure with dinner and a final tasting at one of Anchorage's excellent brewpubs. Hilly terrain, mostly paved roads with one long gravel road. Fill in the blanks and the tour details for Craft Beers & Roadhouses will be on their way.